As huge fan of Rietveld's work it would be easy to say everything he did was superb. 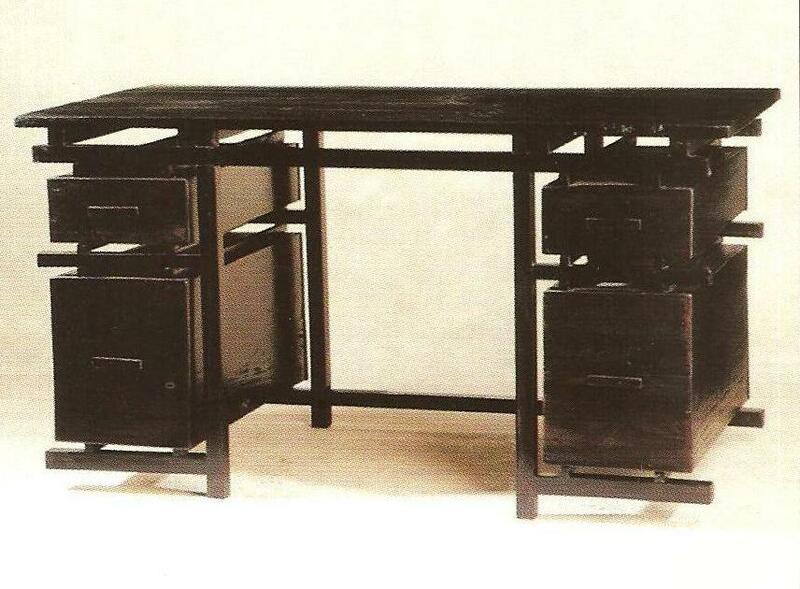 He took his own style as far as he could when designing this desk. But for once, for me anyway, the design doesn't work as well as it should have. It hasn't got that clear shape / outline typical of his best work. It is too 'bitty', too many lines for the eye to look at comfortably. But that's just my opinion. If you like it we'll make it for you. Size L 140 x W 70 x ht 75 cm. Painted black as the original. As usual, as this is made to order then it can be made to whatever size & finish you want.